Did you know that this week is World Milk Sharing Week? It's basically a week to promote awareness of breast milk sharing in all its forms. Sharing milk isn't anything new, but I think it died down a bit in the last century or so, along with breastfeeding itself. In the past few years, with the help of social media, milk sharing has grown, providing many parents a fantastic way to nourish their babies with the next best thing to their own mama's milk. For Milk Sharing week this year, I thought I'd share my experience with milk sharing with you. If you've been a long-time reader of Spokesmama, you probably remember that we were recipients of donated milk. Here's our story. 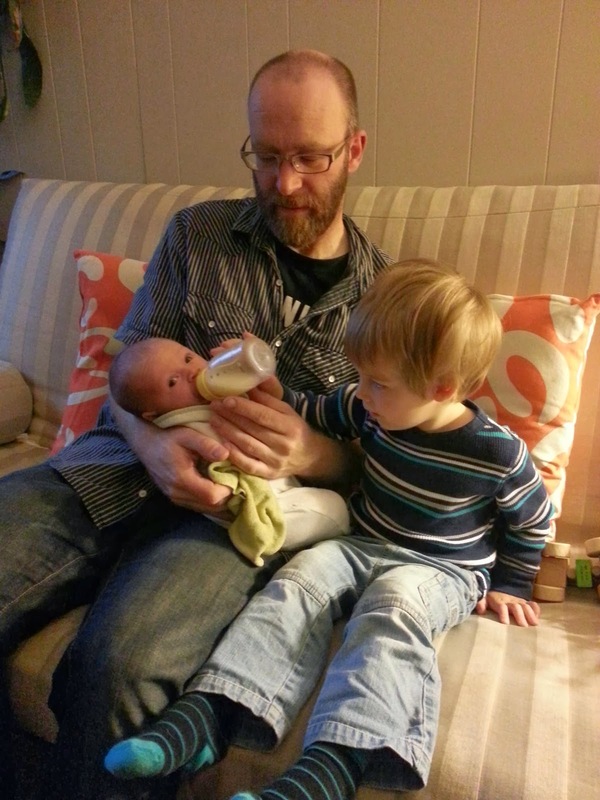 With both my children I struggled with low milk supply when they were newborns. It was quite a blow to discover that my 12-day-old son wasn't gaining enough weight because I wasn't making enough milk. 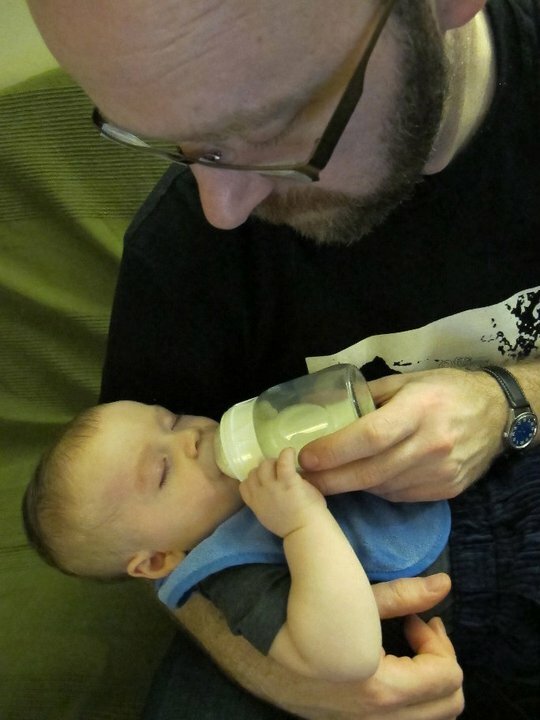 We switched into emergency supplement mode, getting him formula immediately on top of each breastfeeding session, but I wanted him to have as much breastmilk as possible, so my midwife referred me to the BC Women's Milk Bank. Prescreened moms with an abundant supply of milk pump & donate to the bank, where the milk is pasteurized & bottled. First priority goes to infants in the neonatal intensive care ward at BC Children's Hospital. If there is enough of a supply, babies like mine are able to get some too. We took home about a dozen bottles of the liquid gold for baby Linnaeus. On top of the milk from BC Women's that we got, my sister also gave some to Linnaeus. Her daughters are ten months older than him & during a nursing strike, my sister pumped milk. Her daughters wouldn't take it in bottles, so she gave it to us. I tried everything I could to increase my milk supply, but I never got up to more than about 80% of his needs, so I supplemented breastfeeding with the donated milk & formula for nearly ten months with Linnaeus. When I became pregnant again with Brontë, I started planning as much as possible in an attempt to avoid low milk supply again. Despite my best efforts, I still wasn't making enough for baby Bronte in the first months. I put the word out to find some informal milk sharing situation. A friend donated a bottle to us, but I was too overwhelmed with now being mother of two kids to seek more. Thankfully, I managed to make more milk than I had with Linnaeus & we dispensed with the supplementing when Brontë was about three months old. Though we didn't use a huge amount of donated milk, I'm so very grateful for every ounce that we got. I spent many hours of my life hooked up to a breast pump & I have to admit, I'm really glad those daily pumping sessions are well behind me. I applaud the mamas who give their time & their milk to BC Women's, or to more informal milk sharing arrangements, so that other babies can have the benefits of breast milk. If you're interested in donating milk to BC Women's Milk Bank, please visit their site to find out more on eligibility. Snugabell is offering you the chance to save some money on PumpEase hands-free pumping bras from Sept. 24 - 30 on Snugabell.com, Amazon.com, and Amazon.ca. Just use promo code GIVEMILK. There's more info on the Snugabell Facebook page. 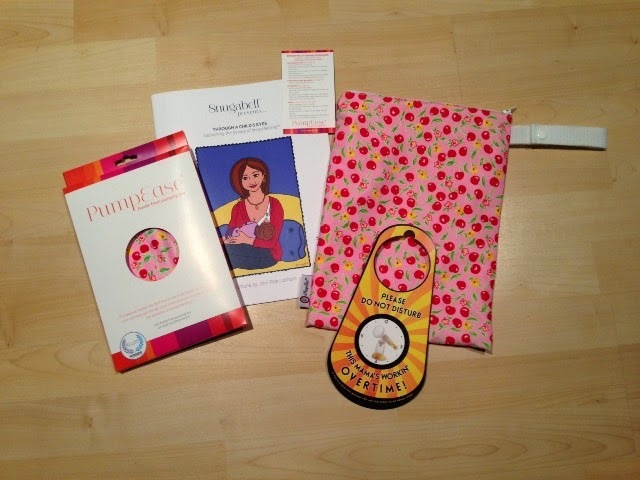 In honour of World Milk Sharing Week, Snugabell will be giving away a PumpEase Prize Pack (one of their awesome hands-free pumping bras, a wet bag to match, & a door hanger) as a grand prize and Through a Child's Eyes Keepsake Colouring Books as runner-up prizes. Read more stories of milk sharing on the Snugabell blog! Thank you for sharing your story, Lisa! How neat that your son was able to get some milk from your sister!